Burg Simpson is not currently pursuing new Gadolinium-based contrast agents cases. If you have received a positive diagnosis for Nephrogenic Systemic Fibrosis (NSF), you should contact an NSF attorney as soon as possible. NSF can be a horrible disease and you may be entitled to some compensation for your pain and suffering. Burg Simpson attorneys have played a key role in this litigation, obtaining recoveries on behalf of more than 150 people who suffered from NSF after exposure to a GBCA. Settlements obtained by Burg Simpson have been with the manufacturers of three different GBCAs and have resulted in significant improvement in the lives of our clients. 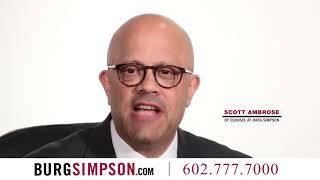 Burg Simpson continues to represent victims of this awful disease. Senior shareholder, Peter W. Burg, was appointed as Co-chair of the Plaintiffs’ Steering Committee and the Executive Committee for the Gadolinium-Based Contrast Agents Product Liability Multi District Litigation in the Northern District of Ohio by federal judge Honorable Dan A. Polster. 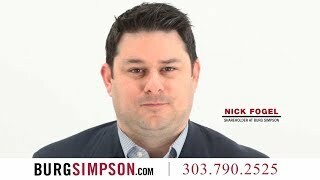 Fellow Burg Simpson shareholder, Seth A. Katz, was appointed co-Chair of the litigation’s Discovery Committee. If you have noticed any of these symptoms, are under medical care for kidney impairment, and have had any MRI (Magnetic Resonance Imaging) or MRAs (Magnetic Resonance Angiogram) with a gadolinium-based contrast agent (GBCA), you may have developed NSF. We urge you to contact your doctor for testing, perhaps including a skin biopsy. Since NSF has only been known to occur for about ten years, it seems likely that it is related to some new agent used in medical diagnosis, or a new examination technique. (In fact, Gadolinium is the preferred contrast agent for patients with kidney disease.) NSF is strongly related to the use of gadolinium dyes for MRI/MRA scans. Omniscan was approved by the FDA in 1993 and is used to provide visual contrast between normal and abnormal tissue in the central nervous system (brain, spinal cord, and spinal nerves). It is injected into the body before MRIs or MRAs are performed. Gadolinium is excreted from the body via the kidneys, and should therefore be used very cautiously in patients who already have renal problems. As it goes through the kidney tissue, it can have the same hardening effect that it has on the skin. This interferes with kidney function where fluids are filtered before they are stored in the bladder for excretion. This filtering action is crucial for health. It divides nutritious substances from toxins, sending toxins and waste products out of the body and retaining nutritious substances for health maintenance. WHO IS SUSCEPTIBLE TO NSF? So far, it has only been found in patients with either acute or long-standing and severe kidney impairment. No evidence has been found connecting it with patients with normal kidney function. If you have chronic kidney disease, you may have been given Gadolinium before an MRI or MRA, perhaps before many such imaging procedures. We would urge you to contact your physician and inquire about gadolinium and its side effects. Your physician can run tests including a skin biopsy to diagnose NSF. Burg Simpson Eldredge Hersh & Jardine, P.C. has donated a potion of its attorney’s fees in the case to an independent, non-profit group that is studying this disease in the hope of finding a cure or more effective treatment for victims of NSF. If you have NSF, you should call or email an attorney immediately. 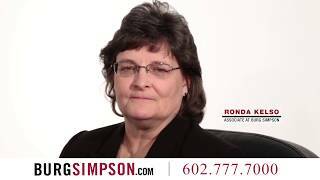 Burg Simpson represented numerous consumers injured by this product and resolved all of their claims via settlement.